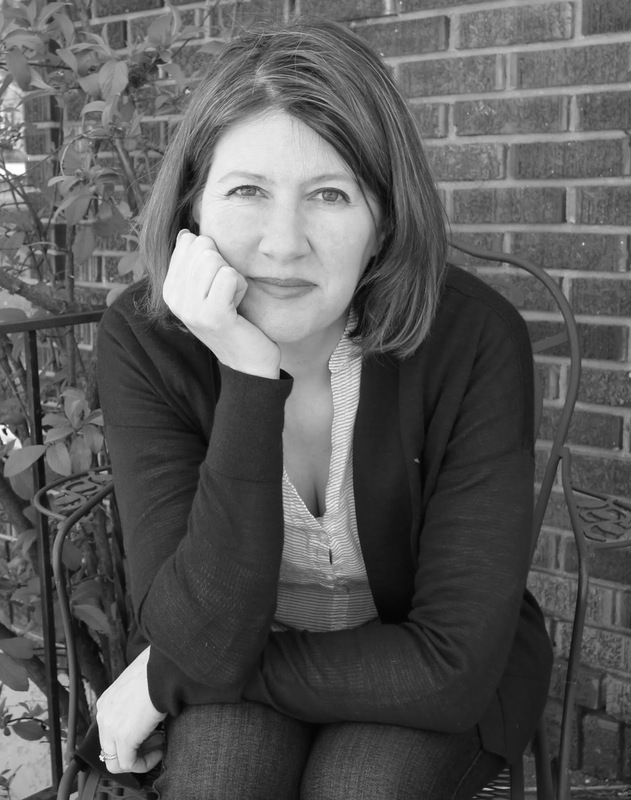 Today we feature author Jennifer Adams and her new series, MY LITTLE CITIES. Be sure to enter her giveaway for MY LITTLE CITIES NEW YORK and MY LITTLE CITIES LONDON, illustrated by Greg Pizzoli (Chronicle Books)! My background is in publishing. I've worked 20 years as an editor, much of the time as a children's book editor. 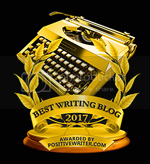 It was a great way to come at children's writing. It gave me a feel for what works and what doesn't, and where there is space in the market to publish. Congratulations on your new series, MY LITTLE CITIES. Tell us about these, and what inspired you? I wanted to follow up BabyLit with another board book series, one that would be similar enough to appeal to the same audience, but very different. I had a lot of ideas, but waited until I found one that really resonated. I like that these books are written as concise little poems. And I'm so fortunate to have been able to work with the talented Greg Pizzoli. I love to travel, and I thought it would be fun for parents to teach children the touchstones and landmarks of cities that they love. And the books would be a fun keepsake for anyone traveling to the city. Your BABY LIT board books are very popular. How did these come about? I'd published a couple of adult books with Gibbs Smith, one about Jane Austen called Remarkably Jane, and one about Shakespeare called Y Is for Yorick: A Slightly Irreverent Shakespearean ABC Book for Grownups. We were thinking of what other books we could do with Austen and Shakespeare, since they are such perennial favorites, and the creative director said, "Why don't we do Jane Austen for babies?" And BabyLit was born. I have a new picture book coming out with Sounds True in February 2018 called I Am a Warrior Goddess. It's about a tiny girl with big aspirations, and focuses on inner strength and kindness. It's illustrated by Carme Lemniscates. I love Carme's work and I'm really excited about it. I also have a number of picture book and board book manuscripts in the works, as well as a middle grade novel. So we'll see what shakes out in the next few months! 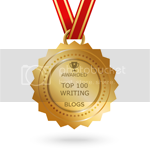 What is the hardest part about writing for young toddlers? What is the easiest? The hardest part about writing for young toddlers is that you have to distill everything down. It's like poetry. Every word matters. You have to think about concepts on a basic level, but also sounds and words and what images and colors and design elements will appeal and then write to that. The easiest part is that it's just so fun--it's a pleasure. You have to be infinitely patient if you want to be a published author. The waiting and timelines are sometimes ridiculously long. So you have to work on new projects while you're waiting to find out about earlier ones. It's advice I give to my writing students too. I'm a big fan of The Walking Dead (just seasons 1-5). Jennifer Adams is the author of more than 40 books, including the BabyLit board book series, which introduces small children to the world of classic literature and has sold more than 1.5 million copies, and My Little Cities board books, illustrated by the award-winning Greg Pizzoli. Her work has been featured in The New York Times, The Wall Street Journal, Parents Magazine, and Vanity Fair. She currently resides in Salt Lake City. For more, visit jennifer-adams.com. Inspiring post! Congratulations on your new books. Looking forward to reading them. Impressive career with so many books published, Jennifer. 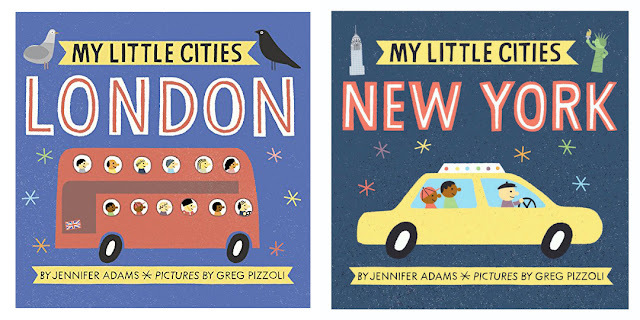 The MY LITTLE CITIES series looks wonderful and with Greg Pizzoli, no less. Wow! 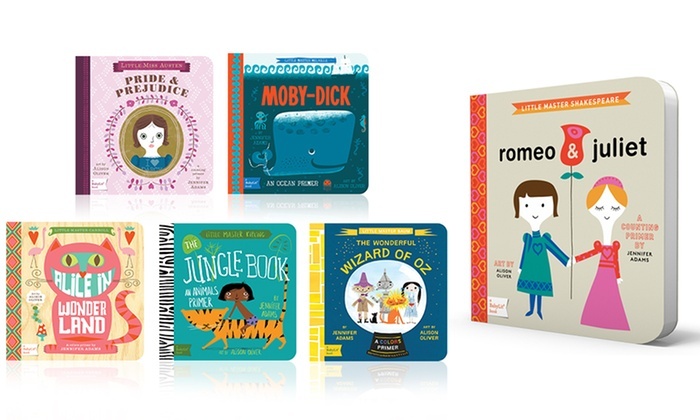 All of these books are so beautifully designed! I love the idea of your books. I can't wait to read them and study them for my own writing. Love the board books. Little kids love them, too! I love your Baby Lit books. Can't wait to read your new books. Such great information in this article!